Will it just be soy? Or will it be the real deal -- tractors from Deere (DE - Get Report) , earth movers from Caterpillar (CAT - Get Report) , planes from Boeing (BA - Get Report) and natural gas from Cheniere (LNG - Get Report) ? Will it be corn? Or will it be the beginning of Apple's (AAPL - Get Report) resurgence and the semiconductor companies like Skyworks Solutions (SWKS - Get Report) , Micron Technology (MU - Get Report) and Broadcom (AVGO - Get Report) ? Will it be rice? Or will it be elevators from Otis and aircraft parts from United Technologies (UTX - Get Report) and Honeywell (HON - Get Report) ? That's what's got everyone buzzing on a second day where U.S.-China trade talks have momentum despite Thursday's protestations from media people that these talks can't be real. Now, there are many who would say it doesn't matter what the Chinese buy as long as it's enough to narrow the trade deficit. But personally, I would think the easiest and most visible way to make that happen is to place the biggest order ever for U.S. planes. I don't know if that's the way China would do it, but if your ratio is $500 billion to $100 billion out to in, then buying airplanes is a very quick way to raise imports. How about the problem of U.S.-Chinese joint ventures? I think that China is starting to feel worldwide heat about Huawei, which increasingly seems to be branded an outlaw by many countries. I think the Chinese will have to relent on the JVs, too. What about all of the intelligentsia that come on air and tell us that the Chinese are playing the long game and we'll lose in the end? Well, I think they aren't businesspeople. The businesspeople that I talk to are almost united in their lack of desire to deal with the Chinese any more, because the Chinese simply aren't fair in any way that makes non-Chinese businesses feel safe. What's really amazing is how universally contemptuous businesspeople are of the Chinese. Some of them would rather do work in Venezuela when it comes to fairness and even safety these days. What do I think would be the best way to change the deficit -- besides buying 100 aircraft by Boeing, given that Boeing doesn't really have the capacity to build that many so quickly, even as one in four Boeing planes currently goes to China? Honestly, I think the best way (put into my head from my writing partner Matt Horween) would be to place an order for the entire capacity of natural gas that America will be liquefying next year. That would ignite everything from Cheniere Energy (LNG - Get Report) to BP (BP - Get Report) , Anadarko Petroleum (APC - Get Report) , Apache (APA - Get Report) and others that have a host of natural gas to send China's way. Right now we have a surfeit of natural gas in America without the pipelines to send to it somewhere. But that would all change with a big Chinese order, and there's so much good that would come out of that potential arrangement. It would also continue to send the stock of Schlumberger (SLB - Get Report) higher after a remarkable conference call that wasn't about hope, but reality. All of tech was also rallying, but that's China-related, too. What matters is if we can give these talks a boost and they're good for the country (but not so good that Federal Reserve Chairman Jay Powell takes back his gift of not gutting the economy), then the positives that I talked about in Thursday's ActionAlertsPlus.com call will keep playing out. And even though we are dramatically overbought, we can continue to go higher. 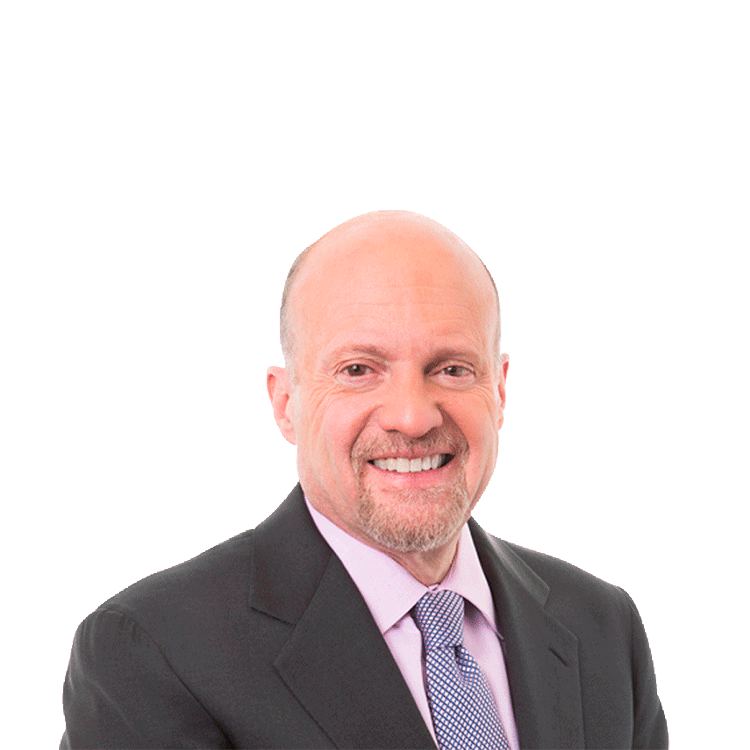 Want to Buy, Sell and Hold the Same Stocks Jim Cramer Does? Join Jim Cramer's Action Alerts PLUS club for investors and you'll get a complete rundown of every stock that Jim owns in his charitable trust. You'll also get an e-mail alert before he buys or sells any stocks for the trust, as well as receive real-time market analysis every trading day from Jim and his personal research team. Learn more now. Action Alerts PLUS, which Cramer manages as a charitable trust, is long AAPL, HON, BP, APC, SLB and JNJ.